REMINDER: Ultimate Fan Experiences Drawing Closes Today June 1st at 10 AM CT! 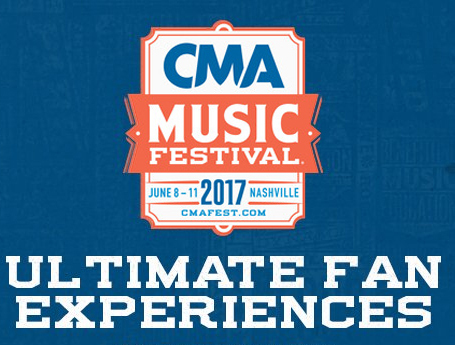 The entry period for the 2017 CMA Music Festival Ultimate Fan Experience Drawing contest to win select meet & greets at Fan Fair X or admission to HGTV Lodge closes TODAY, June 1 at 10 AM CT. Winners will be notified beginning on Friday, June 2 at 10 AM CT and will need to claim prizes via the CMA Music Festival App or website by Tuesday, June 6 at 12 PM CT. Unclaimed prizes will be redistributed. Each winner will be allowed one guest. THIS IS YOUR LAST COUPLE OF HOURS TO SUBMIT YOUR PICKS!